On the hunt for reliable web designers in Essex? Look no further! 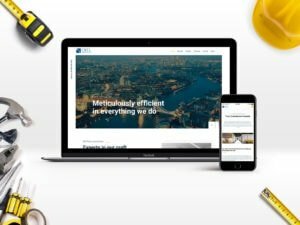 Klever Media are a full service digital agency which started out providing web design in Essex for small businesses back in 2009. Our team has over 20 years combined experience in the industry designing and developing compelling and feature rich websites. Our expertise lie within Website design, eCommerce website design, App design, WordPress development, Search Engine Optimisation & Graphic design. We love all things digital, if you come to us with an idea we’ll create a strategic plan – we love a challenge! Think of your website as a “Digital shop window”. The display needs to look great, make a lasting impression, get your message across and ultimately entice them in. Who doesn’t shop online these days? To some business’ selling products online is their core foundation. It’s so important to get it right the first time round. If you currently have a WordPress website that’s in need of a little tender loving care, but don’t have the budget for an overhaul. We can help you with that! Ranked higher on Google will generate organic traffic, meaning someone who visits your website could be a potential customer and a possible lead. Your brand and how your company is portrayed is what sets you apart from the competition. From the logo, to stationary & even social media banners. It has to be on point.